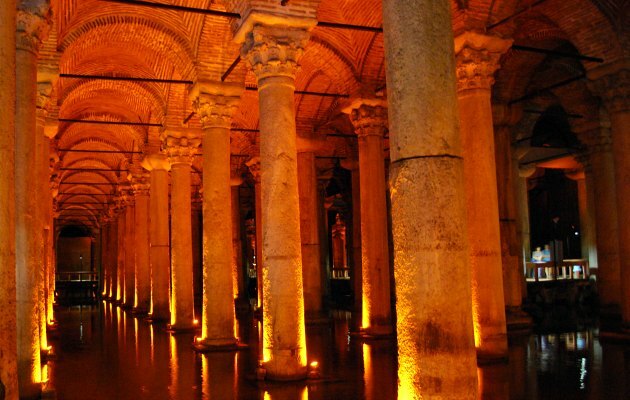 Basilica Cistern in Istanbul is one of a number of underground water reservoirs. 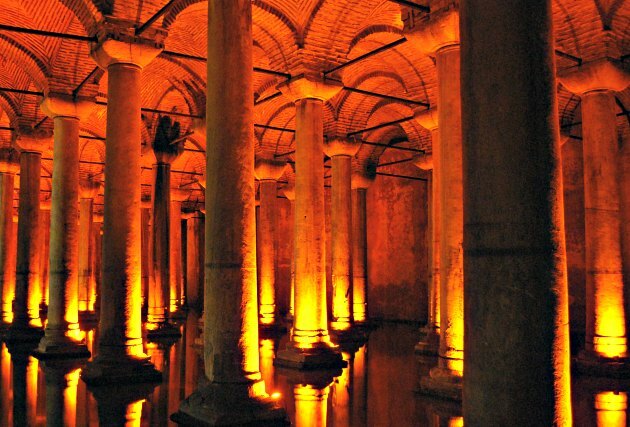 The ingenious Byzantines came up with the concept of storing water here for the city to use, ensuring a regular supply, even in times of conflict. Today there is no need for the system any longer, but some of these underground caverns are now tourist attractions instead. 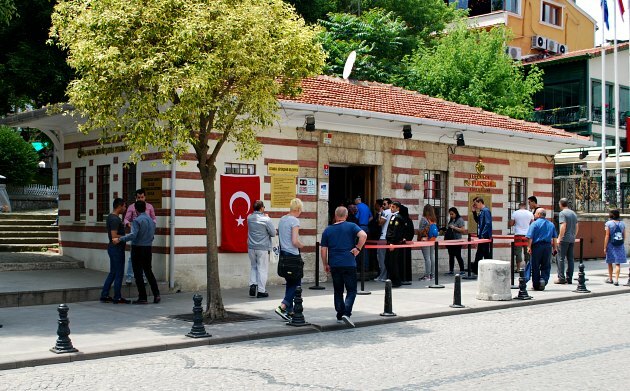 The Basilica Cistern is one of the best to visit and you’ll find the entrance (pictured above) inside a small building adjacent to Sultanahmet Square. From the entrance, you descend down a flight of stairs to well below ground level. There are numerous walkways that have been constructed to allow you to walk around the cistern. In each direction that you look, you can see column after column – 336 in total, supporting the beautiful roof. A covering of water in the base allows you to get a sense of what this place was like when it was full of water. 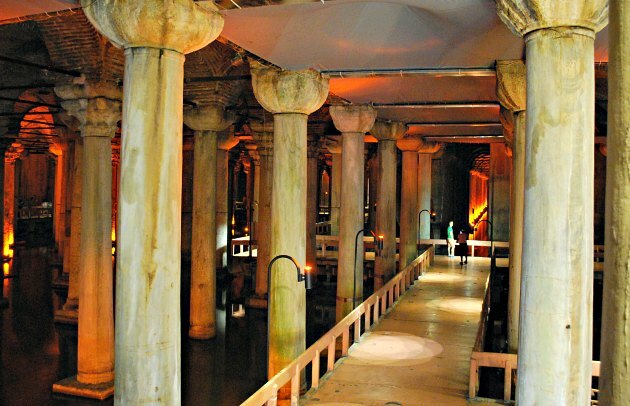 One of the curious bits of the Basilica Cistern’s history is the re-use of old stone. In a far corner, the bases of two columns have clearly been used elsewhere as they have had carved into them, detailed images of Medusa. No one knows where they came from, but they are definitely worth seeing. We thought the cistern was fascinating. A place of calm, reminiscent of a church cloisters, but instead of being dedicated to God, it stands as a shining example of the engineering capabilities of the Byzantines.